equipment. Pro-Stitcher is not included in the training or the rental. 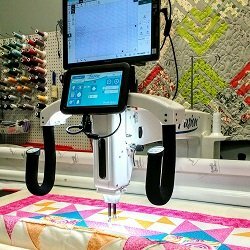 Rental is for free-hand quilting only. This is a technical, not creative class. The fee can be applied to the purchase of a long arm machine of your own, should you decide to purchase one.